So I had kind of forgotten this download was dead, uploaded it to the server but never posted it again. So here it is again. This is useful for modders, to immediately generate an unique character string to use in HoneySelect’s CAB string. 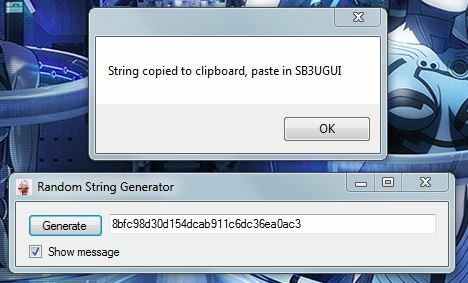 Just execute, click on Generate, the new string will copy itself to the clipboard. Then paste on the CAB string. I included the source in the archive. You don’t need it to use the tool. It requires .NET 4.0 to be installed.